Field Associates, P.C. is a multi-disciplined consulting engineering firm, centrally located in Nassau County. We specialize in Design Services, Civil, Electrical, Mechanical (HVAC), Plumbing, Construction Management and Environmental Engineering. We were established in February 1975. Field Associates is a registered MBE/DBE firm with the State and City of New York and the Small Business Administration (SBA). 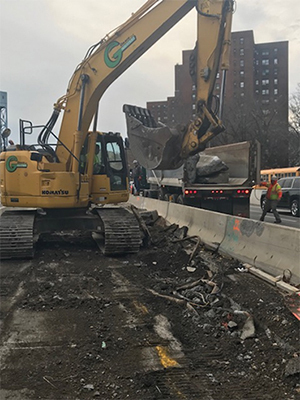 We have served as consultants to a wide variety of clients including Nassau County DPW; Town of Hempstead; Village of Hempstead; Village of Freeport; Dormitory Authority State of New York; NYS & NYC Department of Transportation; NYS Department of Environmental Conservation; NYC Department of Environmental Protection; US Army Corp of Engineers; Port Authority of NY & NJ; NYS Office of General Services and other Federal, State and Municipal agencies, as well as private industry. We offer competent, well-integrated and experienced engineers, designers and technical support personnel. Field Associates' team has the professional talent and innovative know-how to service a full range of Engineering Services. We aim to build trusted relationships and to serve our clients through integrity, honesty, hard work and accountability in a collaborative solution-oriented environment focused on providing the right solution instead of the easy solution, in the most cost-effective way possible.